Announcement Welcome to The Modern Makery. I love doing custom orders so please contact me with any ideas! Welcome to The Modern Makery. I love doing custom orders so please contact me with any ideas! Gave this as a gift and the receiver loved it! Will definitely keep in mind for future purchases. We are so in love! Thank you for the custom order!! Hi, I'm Moriah, the face behind The Modern Makery. 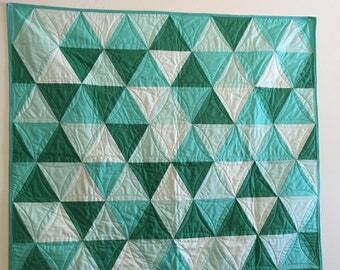 I'm a grand-daughter of an amazing quilter, but hadn't really done much since learning to sew as a kid. 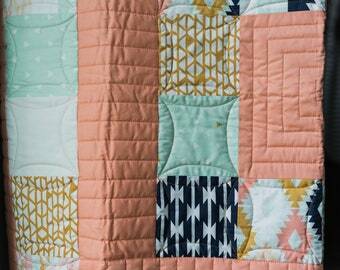 When friends started having babies I thought "I bet I could make them a quilt". That was 4 years and thousands of yards of thread ago. I love anything that requires a needle and thread. I'd love to make something custom and beautiful for you!